After the Independent Grind Tour’s show in Norfolk, Virginia, Jay Rock took the time to sit with Big Ian from faygoluvers.net for an interview. Jay relates how he got into the music game from the beginning to where he is now: luckily he was swayed into the studio by friends and family, signed a deal with Warner Brothers, and eventually moved onwards to become an artist under a joint venture with Strange Music and Top Dawg Entertainment. 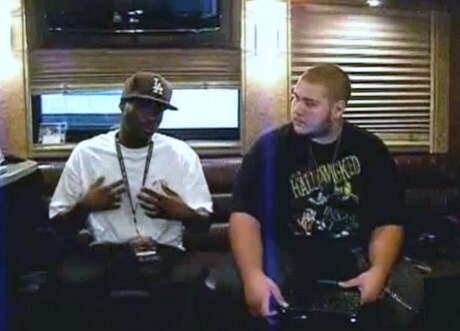 Jay Rock cites Strange Music’s love of the hustle as one of the main features of the label that attracted him to the label as well as their commitment to making great music. Jay Rock also announces the upcoming release of the Black Friday mixtape set to drop November 26.